Verus cases under $7 for LG G4, Galaxy S6 (and Edge), iPhone 6 and 6 Plus! 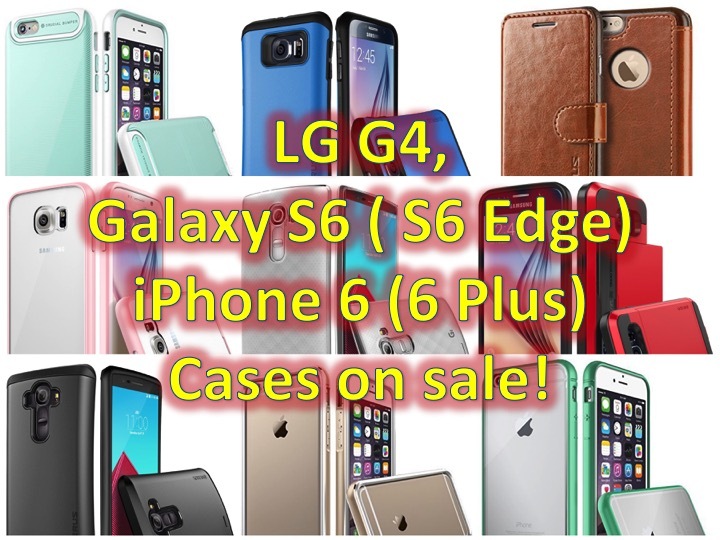 You are at:Home»COLUMN»Verus cases under $7 for LG G4, Galaxy S6 (and Edge), iPhone 6 and 6 Plus! 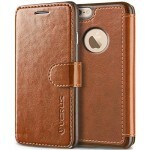 Verus has launched a huge sale on their cases available on Amazon. To get the discount, click the appropriate link and coupon code! The LG G4 has not been released yet, but you can order your cases now and save yourself some money. 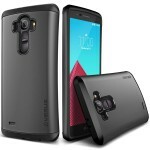 A) LG G4 Heavy Drop Protection Case for $5.99 with code VERUS599. This comes in different colors with the Thor moniker: Thor Dark Silver, Thor Military Green, Thor Satin Silver, and Thor Shine Gold. 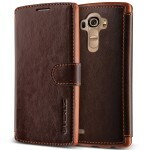 B) LG G4 Wallet Case for $8.99 with code VERUSP15. This comes in three different colors: layered coffee, layered wine red and layered coffee. I don’t normally like wallet cases, but this design looks great. 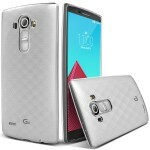 C) LG G4 Premium Clear Case for $5.99 with code VERUS599. 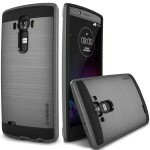 D) LG G4 Premium Hybrid Case for $6.99 with code VERUS699. If I had to pick a case (based on looks) for the LG G4 this is the one. This comes in four different colors: Verge Dark Silver, Verge Military Green, Verge Satin Silver and Verge Shine Gold. E) Galaxy S6 Clear Bumper Case is $1.99 (the cheapest out of the lot) with code VERUS199. Don’t worry, this doesn’t only come in Crystal Baby Pink (Pink), it also is available in Crystal Black, Crystal Mint, Crystal Transparent (Clear) and Crystal White. You can also use the code for the S6 Edge variation. 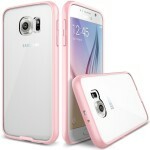 F) Galaxy S6 Air Space Cushion Case for $5.99 with code VERUS599. This has the highest review out of all of the Galaxy S6 cases and it comes in 8 different colors: Crucial Cream Pink, Crucial Lavender Purple, Red, Silver, Gold, Mint, Yellow and another Silver variant! 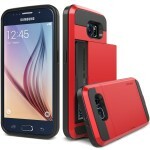 G) Galaxy S6 Card Slot Case for $6.99 with code VERUS699. If you want to leave your wallet at home and don’t want a wallet case, this might be a good option for you! This comes in five different colors: Damda Shine Gold, Damda Red, (they really like their fancy color naming system), Silver, Gold and Yellow! H) Galaxy S6 Belt Clip Case for $6.99 with code VERUS699. This comes in 8 different colors! 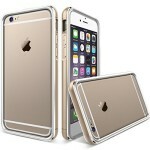 I) iPhone 6 and 6 Plus Aluminum Metal Frame Case for $8.99 with code VERUSP15. 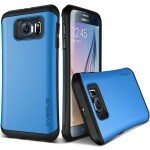 This sleek looking case comes in 12 different colors and styles. J) iPhone 6 and 6 Plus Leather Wallet Case for $6.99 with code VERUSP15. This comes in 6 different colors! 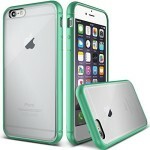 K) iPhone 6 Clear Case for $1.99 with code VERUS199. 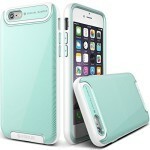 This comes in clear, silver, pink and mint. L) iPhone 6 and 6 Plus Hard Bumper Case for $6.99 with code VERUS699. This comes in different styles for the iPhone 6 and iPhone 6 Plus, with the 6 Plus having a sleeker all black with colored accents.